We have been in the pop-up business for over 20 years. In this period, we’ve created all sorts of paper products: books, brochures, invitations, cards and sculptures. 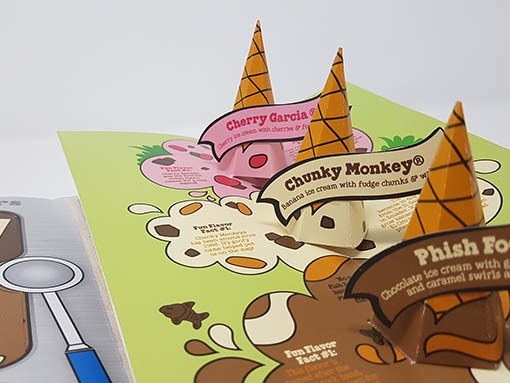 We specialise in paper engineering, but we are often involved with the various other aspects of a pop-up book, such as conceptualising, design, editing and production. Over the years we have established Papersmyths as an innovative force within the world of pop-ups and paper engineering. We have invented a number of unique paper mechanics and patented a number of paper products. Our first proper pop-up work was Noah’s Ark, which we created for Portico Cards in 1991. And in 1994, Orchard Books published our first pop-up book, The Mystery of the Russian Ruby. After this, we continued to work with many publishers in the UK and abroad; these include Intervisual and White Heat in the United States. Following our first whodunit book, Orchard published two sequels, The Eye of the Pharaoh and Pirate Plunder’s Treasure Hunt. From that point on, we have been busy creating the collection of books you can see in our portfolio. We also work in the corporate world; we create brochures, cards, invitations and all kinds of novelty items which use the same paper technology found in pop-up books. Our clients include Warner Bros., Sky, Ben & Jerry’s, Virgin Trains, The Metropolitan Museum of Art, Harrods, Red Bull, Nespresso, Iggesund, Jimmy Choo, Shorewood Packaging, various television production companies, and advertising agencies from across the globe. A team of creative professionals, with whom we can pool ideas and resources, work alongside us. A collection of talented illustrators, designers, photographers, artists and copywriters are integral to our creation process. We are always on the lookout for new talent. Furthermore, we have an excellent network of printers, finishers and assemblers with whom we work. Pop-up books are our expertise. We have created hundreds of pop-ups – with many innovations of our own – operating a full range of paper engineering mechanics: tip-ups; pull tabs; dials; changing pictures; pivots and rivets; the list goes on. We make pop-ups integral to the story rather than just a decorative flourish. We know card and paper; we know how it folds, and how it strains when it moves in a particular way. We know where it needs to be creased, perforated, slotted or strengthened. We know what will work and what will not.